Bread is one of the most ancient forms of prepared foods by human groups. 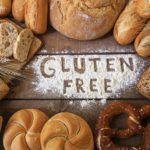 Throughout history, especially after the industrialization of bread making, it has taken a few hits from the health and wellness community, most recently by the low-carb diet and then the gluten-free trend. However, bread is still a staple food in diverse territories, like in the United States, Ethiopia, and the United Kingdom, remaining close to the hearts of many. Despite the rumors that present bread as evil, people don´t want to give up their “villainous bread”. And you don´t have to either. It is possible to live a healthy lifestyle and eat a balanced meal that includes bread. To begin with, we all know that generalizing is a bad habit. There are so many types of bread around the world. Even though most of them are made from flour, water, and yeast, ingredients and cooking methods are plentiful and vary from one place to another. For example, bread can be made from wheat, chickpeas or potatoes. What is more, bread making is a tradition so highly regarded in France that it is protected by a legislative decree and Paris hosts the most prestigious bakery contest on the planet: The Coupe du Monde de Boulangerie(The Bakery World Cup). If bread is the enemy why would a nation protect it and celebrate it with an international competition? Secondly, a single loaf of bread is the result of the knowledge, experience, and dedicated work of three valuable individuals: the farmer, the miller, and the baker. Their input directly affects the end product. Hence, it is important to consider all these factors. Starting with the kind of crop; is it a cereal grain, root vegetable or legume? What seed variety is it? How was it grown? Then pay attention to the way it was milled. For example, in order to produce whole meal wheat flour the entire kernel is ground, whereas the bran and germ is removed during the production of white flour. And lastly, what cooking method and oven were used? The bottom line is that some kinds of bread are nutritious and can actually be good for your health. Apart from being convenient, delicious, versatile, and comforting! So let´s look into what are the health benefits of eating bread! Breads made from whole wheat flour, whole grains, seeds, or nuts are packed with dietary fiber; including those whose dough has been artificially added with “functional fibers” such as guar gum, inulin, and wheat bran. Dietary fiber constitutes the indigestible plant parts that increase stool bulk, promote regular bowel movements, and support waste elimination. It regulates blood sugar levels, nourishes beneficial gut microflora, and keeps you satiated for longer. It´s consumption has been linked to a lower risk of coronary heart disease, stroke, hypertension, diabetes, overweight, obesity, and gastrointestinal disorders. Breads high in dietary fiber exert a prebioticeffect encouraging the growth and performance of friendly bacteria colonies in the gut. The intestinal microflora has being intensely studied because changes in gut microbiota composition have been related to essential bodily functions in the host such as immunity, satiety regulation, and body weight gain, amongst others.Feeding your beneficial gut microflora can help you to shed some pounds off and improve your mood and sleep! In addition, when resistant starch found in starchy fruits, vegetables, legumes, and whole grains is decomposed by the gut flora short-chain fatty acids are produced, fighting inflammation and strengthening the immune response.Whole grain breads containing fruits are a good combo in this instance. Whole grains and legumes contain complex carbohydrates. Breads derived from either of these make for an abundant supply of readily available energy, which translates into a steady flow of glucose into the blood. This fact is important for professional athletes or individuals who are preparing their bodies for any physical activity that requires endurance. According to the Cleveland Clinic, complex carbohydrates stimulate serotonin production and if you eliminate them entirely from your diet you can become really cranky. Doctor Amy Jamieson-Petonic, registered dietitian at the Cleveland Clinic,recommends eating every three to four hours and including complex carbs each time (to feel energized and happy). Fortification is a safe practice where essential vitamins and minerals are added to staple foods such as bread and wheat flour. Many kinds of bread, white bread included, have been fortified with iron, calcium, and some vitamins B. Particularly, in the United States mandatory folic acid fortification of cereal grain products such as refined wheat flour has been established to reduce a woman´s risk of having a baby affected by Spina bifida or other neural tube birth defects.It is estimated that this measure has saved more than 1,300 from neural tube birth defects on a yearly basis. The American Institute for Cancer Researchincludes whole wheat bread and whole grains within the AICR´s Foods that Fight Cancerlist published on their site. After years of study they´ve found that dietary fiber and phytochemicals in whole grains hold anti-cancer properties. Finally, just remember that the recommended amount of grains for an adult in the Healthy Style Eating Pattern(2000 kcal per day) set by the U.S. government is 6 servings per day, of which at least half should be whole grains.